Hi, did you ever have a situation where you asked yourself: "Where's my phone?" Or "How to find my phone quickly? ", Yes? Do you urgently need to call or go online and your mobile phone is lost? Then our application Find my phone: whistle PRO is created for you! From the phone you are separated by one whistle! Our application works if there is no GPS, the phone number for the call is unknown, there is no other phone to call, the location of the phone is unknown, or you are just tired of looking. Our tool will always help you find the lost phone. 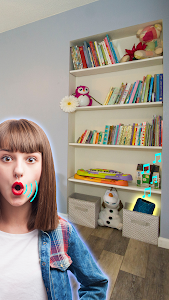 Just whistle loudly with a mouth or whistle and the location of the phone is set! 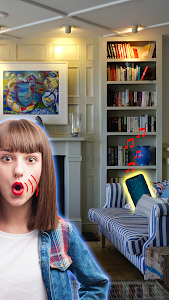 This smart gadget reads sounds similar to whistles and begins to react, issuing a loud sound of the melody and vibrating. This clever assistant works even in the background. He can help children find a lost phone. Help elderly relatives not to lose it and help to play friends! How to arrange a funny rally? Put the mobile phone in your friend's bag, choose the most ridiculous sound and whistle, the gadget will necessarily make a loud sound! There are melodies for every taste and different types of vibrations! 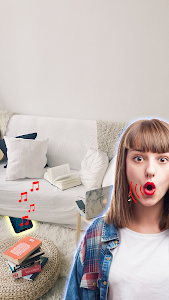 Finding your phone by sound has never been so easy! You can find the phone only with a loud and clear whistle. Extraneous noise, loud background sound and conversations interfere with the work of the application. Also, the age of the device influences the recognition efficiency, the microphone gets clogged with dust and the quality of the built-in microphone. Some news from us. Currently our team is working on cool update ? Similar to "Find my phone: whistle PRO smart & free finder"